Ceva supports Hungary’s famous and trusted animal shelter, Noé Állatotthon Alapítvány. Each month, Ceva and Noé Állatotthon Alapítvány work together to host ‘Ceva Adoption Day’ to help re-home and look after abandoned cats and dogs. Photos and short stories of 5 dogs and 5 cats are hosted on our pet owner website in order to raise the profile of the animals, the shelter and increase their opportunity to find a new home. As the dogs and cats are newly adopted, they receive a starter kit to ensure their new owners have all the tools to ease the transition of their new family members. These starter kits include: Adaptil or Feliway, Cestal Plus or Cestal Cat, Pet Phos and Diarsanyl. However, abandoned dogs and cats taken in by the shelter face difficulties and diseases which need significant help. Besides fleas and ticks, mosquitos cause the biggest headache to us, because of heartworm disease transmitted by them. More and more dogs turn out to be heartworm positive so we really feel it is a problem we must take very seriously. Painful wounds and consequent dermatitis caused by stable flies are also very frequent among our dogs. Ceva worked with the shelter to try to eliminate the problem and provide treatment for 159 dogs. Working together, beyond animal health means not only tackling large scale issues of zoonoses and feeding the population, but also working to strengthen the human – animal bond and Ceva is proud to be able to help those cats and dogs in need at the shelter. 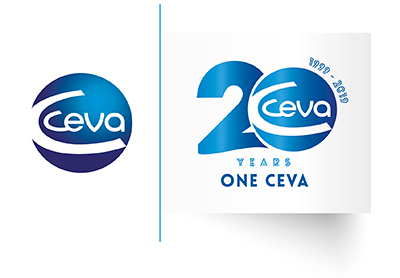 We are grateful for Ceva’s help, thank you very much indeed also in the name of our four-legged protégées.